This gentle, plaintive air, which lent the title to my Regency novel, My Mother Bids Me, is one I've sung often and is particularly good for vocal training. Although it's easy on the ear, it can be a challenge to perform with a precise and shifting tempo meant to convey halting despair on the daughter's part and her mother's brisk chiding that life goes on despite the absence of loved ones. The object of the girl's affections is someone named 'Lubin' and I've long been intrigued by who he was, especially since his name might prove him an exotic figure. After all, this was the era of the Napoleonic Wars. Research suggests a certain alchemy between the lyricist's experiences and creative imagination. All novelists, poets, artists, will understand the workings of this mystical process. 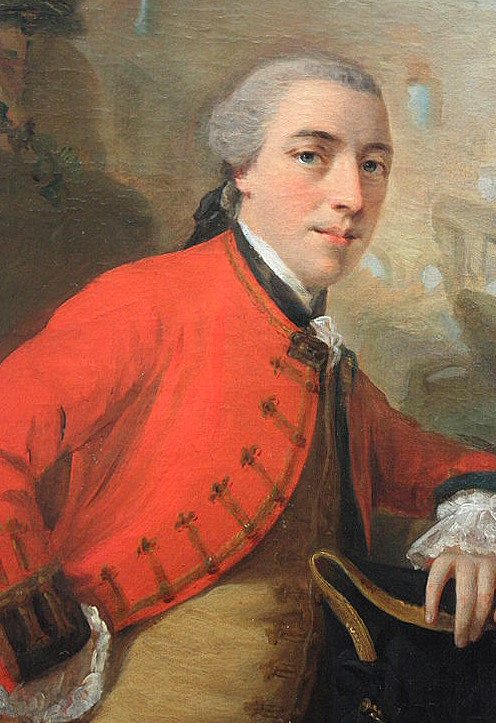 Anne Hunter, née Home, who wrote the text, was the eldest daughter of impoverished Scottish surgeon, Robert Boyne Home of Greenlaw Castle, Berwickshire, and sister of Sir Everard Home, Serjeant-Surgeon to King George III. She is believed to have been born in 1742, in Ireland, where her father was surgeon to a regiment of Marines and where he probably met and married her mother. From there, they moved to York, and, later, to Edinburgh, their family expanding meanwhile. Home had retired on half-pay in the late 1740s, but in 1760 travelled to London to enlist in General Burgoyne's 16th Light Dragoons which were shortly to see action in France and Spain during the Seven Years War. It must have been a salve to Anne's soul when the family removed to Suffolk Street, Pall Mall, in 1763 at the close of that expedition. It put an end to the itinerant army life, a world of women, children and lodgings, days where imagination took flight between the pages of books. Via her father's comrades, she was introduced to a cultural scene that encompassed many famous names in the arts and sciences. It suited her well and in due course she was drawn into the activities of the Blue Stockings, at that time inclusive of both genders! Their name evolved from a dislike of formal wear which demanded stockings of black silk, with the inference that high-minded pursuits were to be preferred to the sartorial imperatives of a frivolous bon ton. When Anne entered this circle, some of the 'old guard' had passed away or retired to their hearths. Anna Letitia Barbauld, Elizabeth Carter, Elizabeth Griffith, Charlotte Lennox, Catharine Macaulay, all writers in one field or another, had established a buzzing society, much talked of. Initially, they had convened at 16, Royal Crescent, Bath, the home of Elizabeth Montagu, a prominent social reformer and patron of the arts. 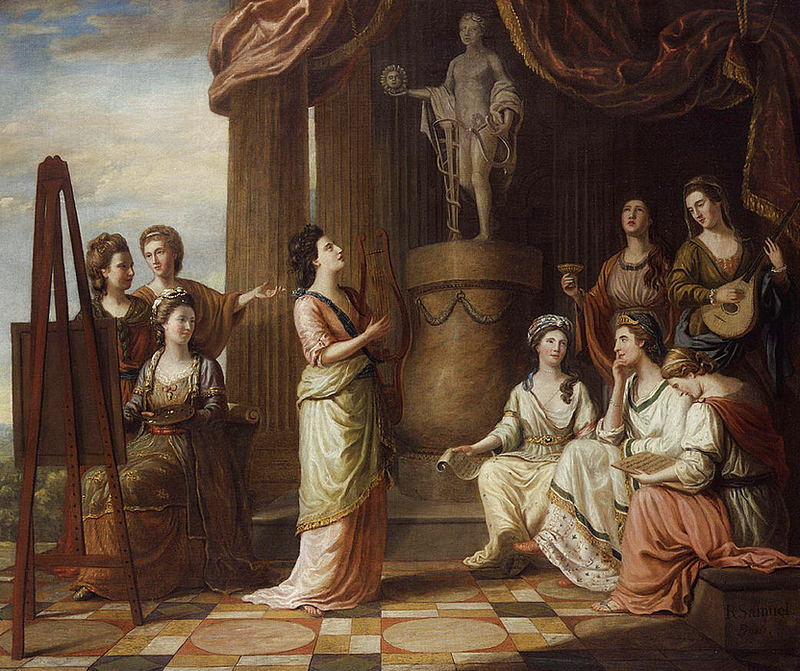 The playwright Sheridan's wife, the singer, Elizabeth Linley, was often to be found among the later company, together with writers Hester Thrale and Hannah More, Mary Delaney, the botanical artist, and Angelica Kaufmann, the painter with whom Anne Home formed a special bond. 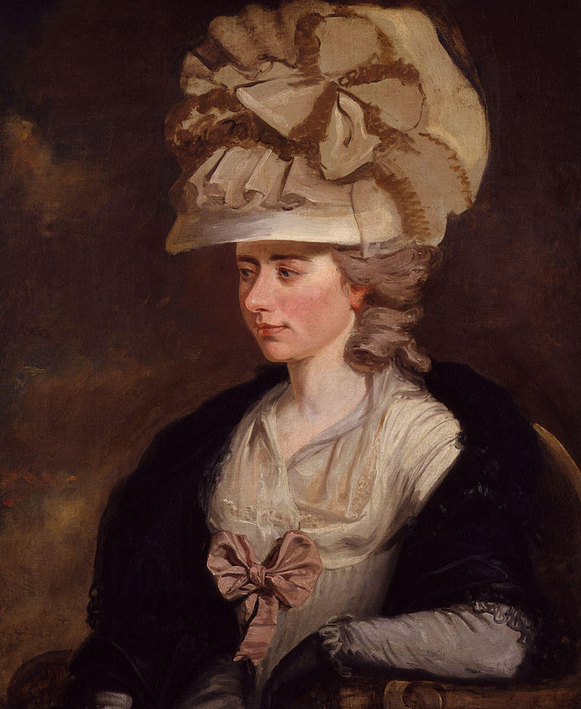 Fanny Burney, too, was one of Anne's admirers who accounted her 'extremely pretty and very ingenious'. Anne is depicted as 'The Pensive Muse' by Angelica Kauffman, alluding to a vivid interior life and hunger for stimulating company. 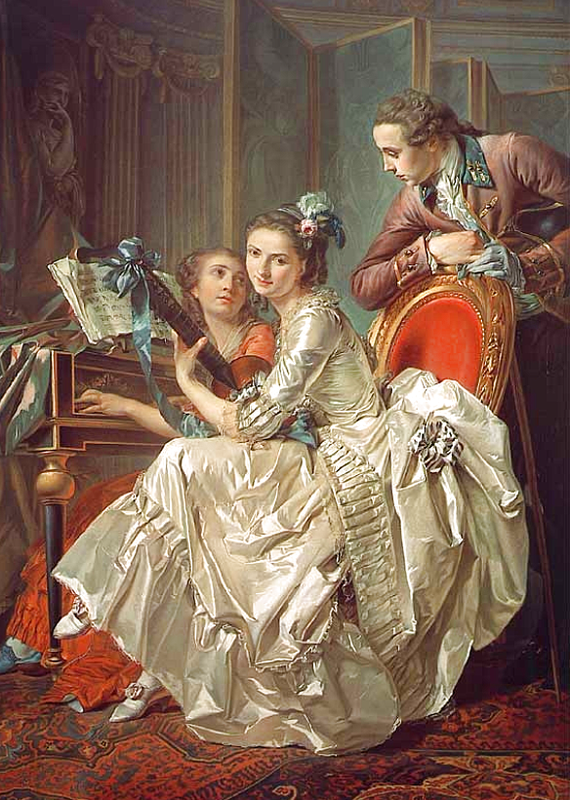 The lost painting, commemorated in the engraving shown, was probably a gift from Kauffman for Anne's services as witness at her wedding to Nicholas de Horn whose real name turned out to be Brandt. There is reason to believe he was a bigamist! 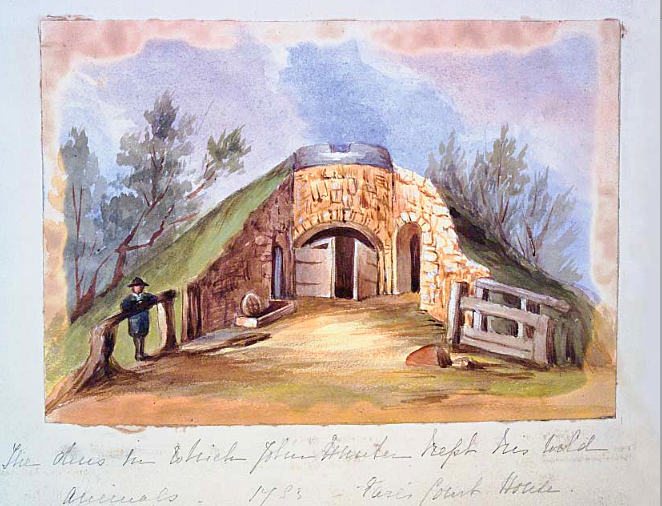 In London, Anne was introduced to John Hunter, a Scottish army doctor and surgeon when her father, who had served with him in the Belle Île campaign, invited him to their home. (Hunter later collaborated with Edward Jenner on his smallpox research.) 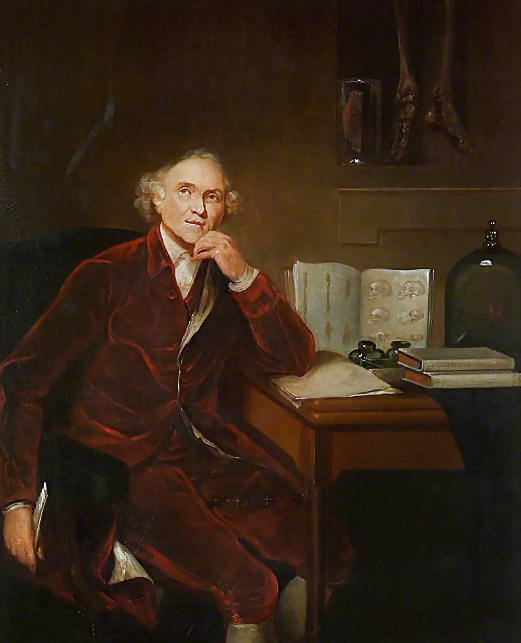 He had studied anatomy with his elder brother, William, before training in two London hospitals, eventually becoming Assistant Surgeon at St George's Hospital and in 1768 was promoted surgeon. He was a mentor to Anne's younger brother, Everard, and to his nephew, Matthew Baillie, a physician acclaimed by the great and the good. Matthew's sister, Joanna, an aspiring poet and member of the Blue Stockings, greatly admired Anne Home and was delighted to become her niece when she and John Hunter, fourteen years her senior, were married in St James's, Piccadilly, in July, 1771. On the face of it, Hunter and his wife were an ill-assorted pair, he with his obsession for the anatomy of humans and other vertebrates, she with her refined pursuits and growing family. There were three sons - two died in infancy - and a daughter. Everyone agreed that the parents were delightfully complementary. 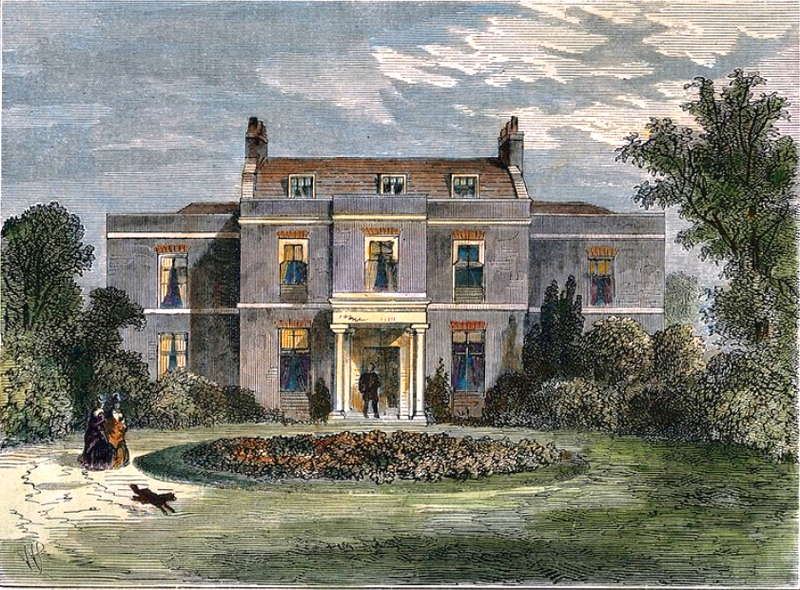 At his house in Earl's Court, their first marital home, Anne wrote poetry and entertained her friends, while John kept a substantial menagerie where unlikely species were reputed to live in the kind of harmony experienced by their owner! Hunter was a man whose Scottish ire was tempered by generosity and patience where his young wife was concerned. Others found him rude and repellent. He is best described as one who did not suffer fools gladly. The Oxford Dictionary of National Biography says that he was 'not a learned man. His literary background was meagre, his linguistic skills inferior to the manual.' Though he was out of his comfort zone among Anne's friends, he was happy to let her offer hospitality under his roof and would occasionally join in, proud that his wife excelled as a hostess. She was widely commended for her beauty and talents and was said to have a happy knack of bringing together on a pleasant footing the most distinguished literary characters. After twelve years, the family moved to Leicester Square, a commodious house where Hunter could arrange his species collections of animals and plants into a teaching museum. Included was a skeleton of an Irish giant of 7' 7" named Charles Byrne. The fellow had wished to be buried at sea, but Hunter intercepted the coffin's journey with a bribe, said to be of £500, suggesting that rocks should be substituted for the body! Sadly, the even tenor of domestic life was dealt a shattering blow. On October 16th, 1793, Hunter collapsed and died from a heart attack during a dispute in a meeting of colleagues at St George's Hospital when he argued that students lacked adequate clinical training. Bouts of angina had been a warning sign for several years. Hunter's aptness to fly into rages of frustration finally got the better of him. His will was complicated and, to add to her grief, his widow faced the prospect of fearfully diminished means. John had died deep in debt, having spent astronomical sums on his Collections. He'd intended for the Government to acquire them for the nation after his death, but Prime Minister William Pitt, entangled in conflict with the French, protested: "Why, I have not enough money to purchase gunpowder!" However, in 1799, the Government did elect to pay her the sum of £15,000 for the Hunterian Museum. Talk of the Revolution and the beleaguered French Court was inevitable among Anne's Thursday night gatherings. In their midst was Fanny Burney, Madame d'Arblay, married to an exiled French General, an artillery officer under Lafayette. 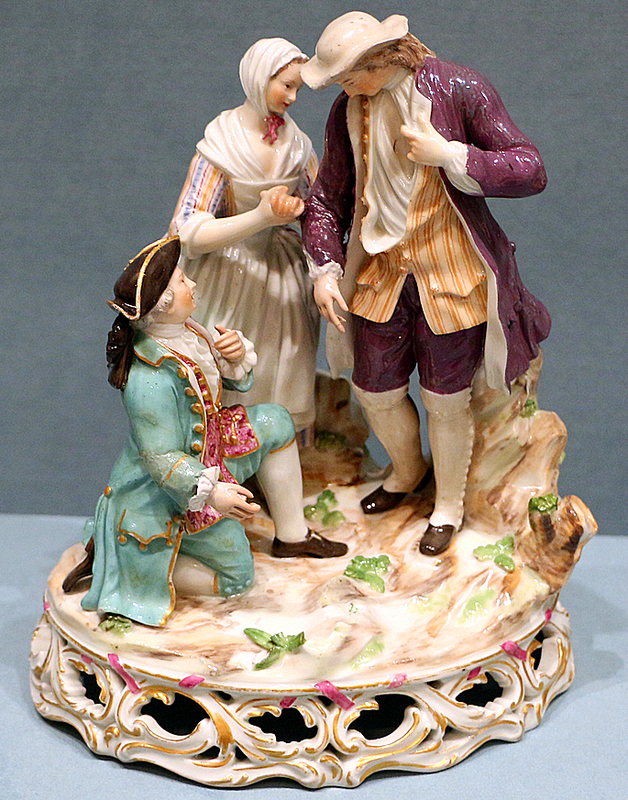 Her mother had been French, and a Catholic, and though her father, the famous musicologist, Dr Charles Burney, disapproved, Fanny was married to her impoverished emigré the July before John Hunter's death. 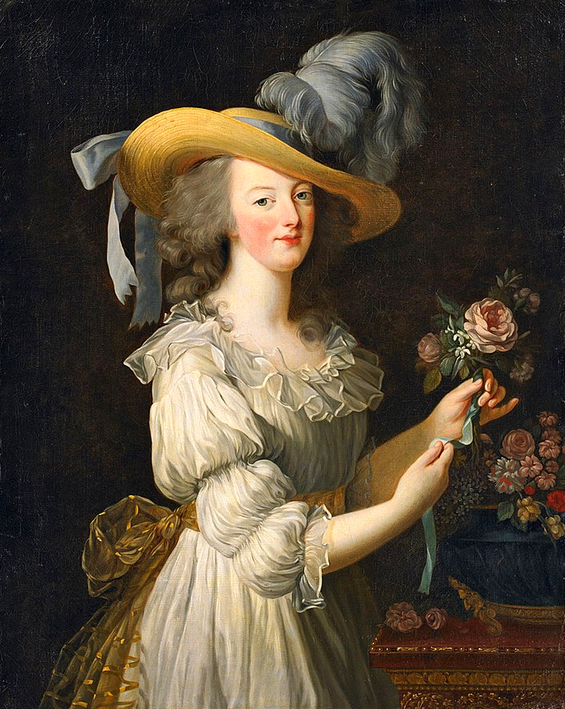 In Anne's first searing flush of grief, news reached England of Marie Antoinette's execution. She had died on the same day as Hunter. Perhaps they were even linked in some other sphere. King Louis XVI had gone to the scaffold at the beginning of that year and had been held hostage alongside his Queen in the Tuileries Palace for many months. It was regal prison of locked and walled-up doors under the surveillance of the National Guard, where deference was turned on its head. Despite it all, Marie Antoinette retained dignity and morale and, as far as was possible, kept her usual routines. One of the simple things that lifted her spirits was her signature rose perfume, brought to her by Lubin, an apprentice of Fargeon, her favourite perfumier, who was to become renowned in his own right. She was so grateful to receive these parcels and said the scent evoked the gardens of the Petit Trianon, a gift from her fated spouse. Such memories must have softened her grim captivity a little. She looked forward to Lubin's visits who was like an envoy from a lost world. Throughout that winter of bereavement, with a bleak and impecunious future looming, Anne saw clearly that she would need to supplement her paltry income with her pen, or else become a governess. 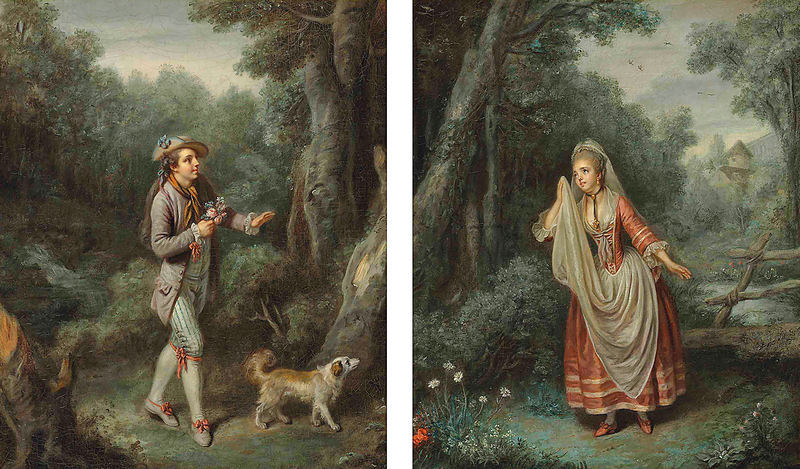 It was imperative that Agnes, the Hunters' only daughter, should contract a prudent marriage. As an exceptional beauty, Anne hoped that her daughter's face would be her fortune. When, in March, the following year, Sir James Campbell returned from a long stint in India, serving as Aide-de-Camp to his uncle who was Governor of Madras, the fates conspired. Two months later, the couple were married, defying the official conventions of mourning. Agnes was less than ecstatic about the whole affair, but was persuaded of Campbell's devotion and her mother's genuine approval. Anne found in her son-in-law all that was amiable to the extent that Campbell generously contributed to her private purse. Perhaps securing the mother might secure the deeper affections of the daughter. Mother and daughter were as close as fond siblings. Bonaparte was on the rampage and in the autumn of 1794, Campbell was posted to the Channel Islands and expected his wife to accompany him. This was an agonising turn of events for her mother. It was not only physical separation: she realised that her daughter's horizons and duties must be elsewhere and all the pleasures of their entwined daily life were gone for ever. With hopes that we shall meet again. Of kind affections finely wrought? For so we ne’er can meet again. Deserve its love, as I have done. If so beloved, thou art fairly won. And cheer thee till we meet again. Underlying Anne's forsakenness, is there a hint of maternal unease that all is not quite as she might hope for the newlyweds? A little gentle rallying? It wasn't long before Agnes realised that marrying in haste meant repenting at leisure. Her only consolation was that the family coffers had received some support. The source of this dissatisfaction is not clear, but the marriage yielded no offspring. Agnes eventually separated from Campbell and returned home. 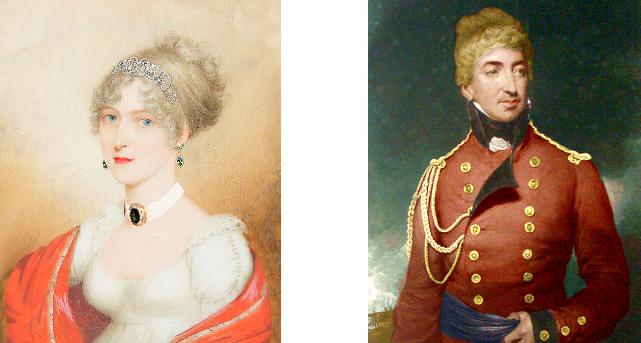 Two years after his death in June, 1819, she married Lieutanant-Colonel Benjamin Charlewood of the Grenadier Guards. And lace my bodice blue! Alas! I scarce can go or creep. When those we love were near! 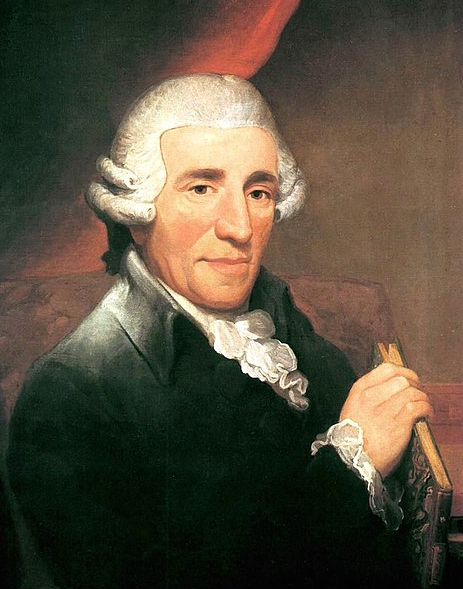 But Haydn was captivated by Anne's solitary poems, published anonymously in various journals. When he caught sight of her latest verses, which seemed to him more chanson than poesy, he determined to set them to music, creating a tuneful collection of canzonettas. My Mother Bids Me Bind My Hair was among them, a song later included in Jane's Austen's collection. It was a true meeting of minds and a kindling of warmth of heart. They were each inspired by the friendship. Anne began to find her literary feet in earnest and to broaden her creative perspectives. 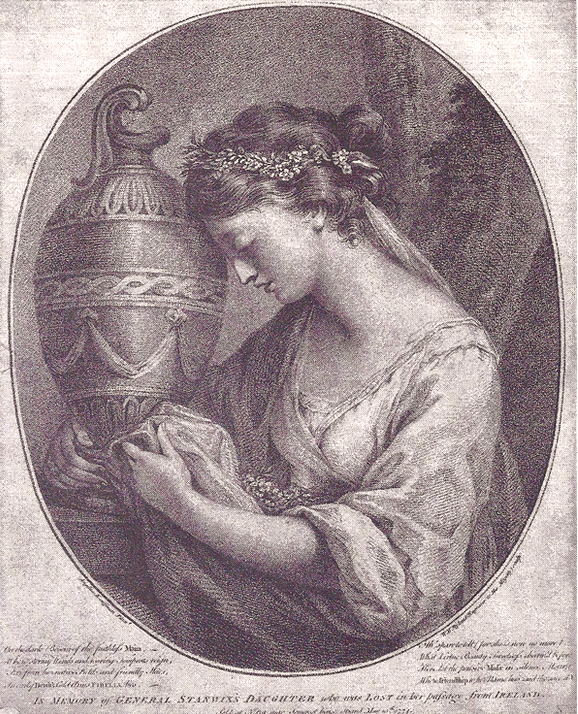 In 1802, she published a book of poems under her own name. And so it was, in the realms of the psyche, that 'Lubin' came home. Anne's effusions are airy confections of delicate sentiment against a background of corpses and curettage, yet, somehow, these contrasting forces were reconciled to good effect. For her, they did not come to full fruition until she was widowed. She died in London in the New Year of 1821, aged 79, having spent much of her widowhood at Long Calderwood, East Kilbride, in the house where her husband grew up. By then, it had passed to Matthew Baillie, their nephew. It has since become the Hunter House Museum. One can only admire a woman whose art reshaped life and bequeathed such thoughtful and revealing insights into the existence of women of her times. Certainly, this song evokes memories of a long interlude in my life when music was a vital consolation. And it took place many years after the novel was first published!